What are Your Borrowing Options as a Tenant? The UK has one of the oldest first time buyer ages in Europe – no wonder with our high house prices. While millions remain tenants, as bills increase and wage-freezes continue, we look at what your credit options are when you are a tenant. Tenant loans are loans which are appropriate for people who do not own the property in which they are living. Many UK lenders have toughened up their criteria when it comes to giving out loans, ever since the credit crunch began in 2008. This is just one reason why you might wish to consider looking into companies like Everyday Loans’ tenant loans, which pay far more attention to your credit future, rather than your credit history. 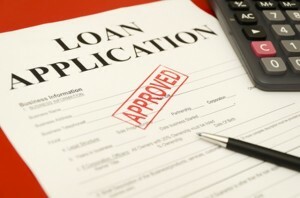 It is therefore likely to be easier to get a loan online, and you will get the chance to improve your credit score. If you are a tenant struggling with making your rent, there are some other options that can help. Most landlords will ask for rent to go in on the first of the month, whilst many companies will pay their employees well before this date. This often leads to a number of individuals spending more than they have and when it gets to the first of the month, they will often find that they have under budgeted. If you are able to pay your rent upfront for a number of months or weeks, so that the money leaves your account just after your wage has gone in, this is a good way to ensure you don’t spend your rent money elsewhere. You may have had a heavy month and spending could have got out of hand, this doesn’t however mean you can avoid the likes of bills and rent money. If you find that you are short by half of the rent, you must inform your landlord as quickly as possible – he or she will have his or her own bills to pay! If this is the first time you have been unable to pay the rent in many months of being there, the landlord may allow you an extension. It is certainly worth enquiring about this and if not, you will then know to look elsewhere. Regardless of whether you choose to lend from a family member of a loans company, it is important to budget for the next month in order to pay this money back.